Add a cost of moving calculator tool to your estate agency website. 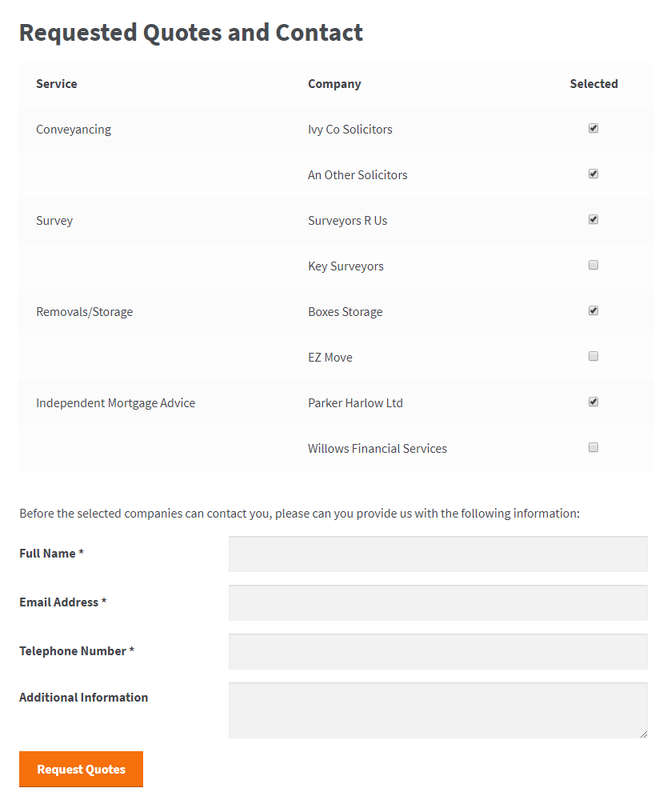 Display a breakdown of costs and add the ability to request quotes from third party solicitors, surveyors and more. 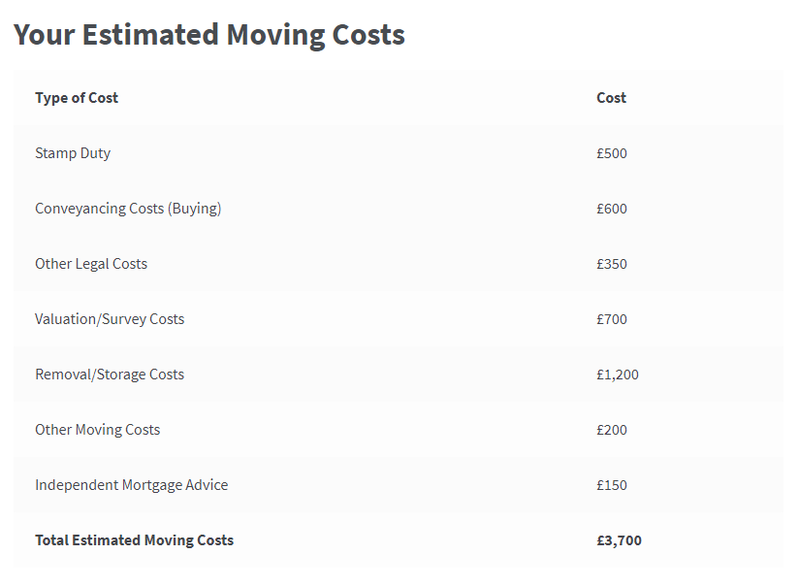 It’s easy to add our Cost of Moving Calculator to your property website. Simply add the [moving_cost_calculator] shortcode to any post, page or widget where you want it to appear. We’ll then handle the rest. We’ve made the calculator quick and easy to use for your users. Using ‘Next’ and ‘Back’ buttons they can step their way through one section at a time. The steps shown differ based on whether they’ve specified they’re looking to buy, sell, or both, ensuring only relevant questions and information is shown. In each section they will be presented with just a couple of questions to complete. They’ll also, when relevant, be presented with the chance to request a quote from third parties such as solicitors, surveyors, removal companies and more. You can find out more about this further down. The final stage when using the calculator is the ‘Summary’ page. Here they’ll be presented with a breakdown of the costs as a result of the values entered in previous stages, as well as a grand total. 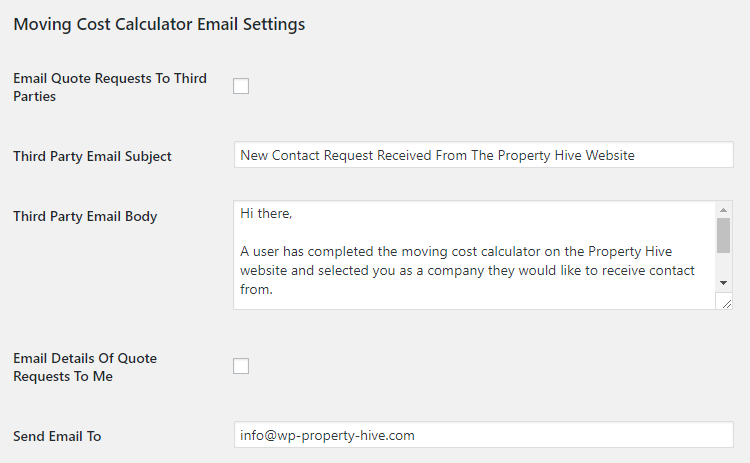 As well as using this tool to give users an estimated cost of moving, you can also use it to generate enquiries for third parties that you work with, such as solicitors, removals companies and more. This is not only handy for your users, but can also act as an extra revenue stream if you get commission as a result of these referrals. From within WordPress you’ll be able to control every aspect of the calculator. 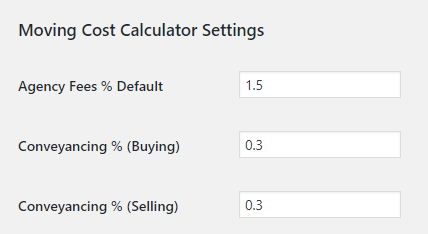 From entering the third party companies (solicitors etc) to managing the percentages and default values shown throughout the calculator. As well as changing settings within WordPress, if you really want to customise it and feel confident with code, or know someone who does, you can also override the template and make it completely your own. You can control if emails should be sent when someone requests a quote, who they should be sent to, as well as the content of the emails. Customise the email subject and body to make it your own.